We love Paris for the million reasons that everybody loves the city. It’s an incredibly romantic and beautiful place. There is no city that is easier to spend time in like Paris and we are sure that you will always find new things to see and do, Paris truly is a moveable feast! We recommend spending at least 3 days in Paris to get a good picture of the City of Lights, but if you only have two days in Paris, what to do? Don’t worry, we have prepared a great 2 days in Paris itinerary for having the time of your life in Paris. READ MORE – Join our FREE 6-day Paris Planning Challenge! 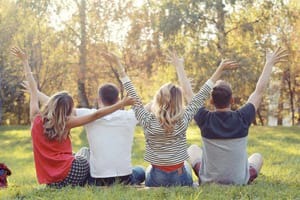 » Language: French; English is widely spoken by the youngest people but it is always better to start your questions in English with a “bonjour!” and a smile. » Getting around: the Parisian metro, Paris by bike, or on your electric kick scooter! We decided to split this 2 day trip to Paris into Paris Right Bank and Paris Left Bank. This has an obvious logistics advantage: all our proposals for one day are concentrated on the same side of Paris so the walking and metro distances are optimized. The Google map with our suggested points of interest is very easy to use: green spots are for the first day in Paris while red spots are for the second day in Paris. Dark green and dark red spots are the activities that we suggest to do in Paris at night. For your convenience, the map can be zoomed in and zoomed out. Paris is crossed by the river Seine (la Seine, in French) which flows westwards to the English Channel cutting the city into two. The isle that you can see in the middle of the Seine is named Ile de la Cité. In Paris, you will often hear about Paris Rive Gauche (Paris’ Left Bank) and Paris Rive Droite (Paris’ Right Bank): when facing downstream, the northern bank is to the right, and the southern bank is to the left. During the first day of this Paris itinerary, we are going to get the most out of Paris’ Right Bank. Historically, the Right Bank was the synonym of elegance and sophistication while the left bank was the Bohemian Paris. The Rive Droite has historically been the center of commerce and trade in Paris, with the stock market (la Bourse) and most of the headquarters of banking and finance groups while the Left Bank has historically been the focus of the intellectual and religious life in Paris. Finally, in the districts of Paris Rive Droite, visitors can find most of the top sights of Paris and we are going to visit some of them today. 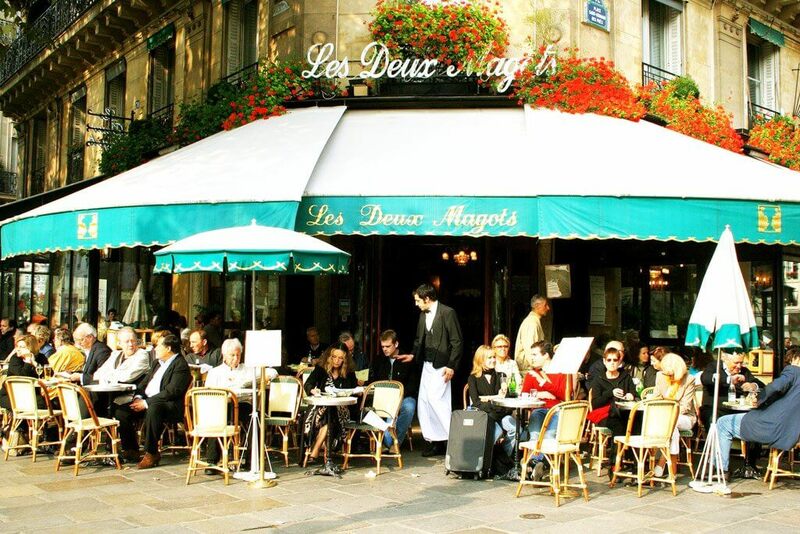 Begin with a coffee at Ile de la Cité, the heart of Paris. From metro Cité look for Notre Dame’s twin towers, this will be the starting point of this your 2 days in Paris itinerary. First of all, admire Notre Dame‘s main facade, this cathedral is a jewel of Gothic architecture and one of Paris’ main sights. Notre Dame de Paris is dedicated to Our Lady of Paris. You can see Her represented on the rose-window. MAKE IT SPECIAL: we recommend climbing the Towers of Notre Dame to admire Paris from a different point of view, the panorama from the towers is amazing! 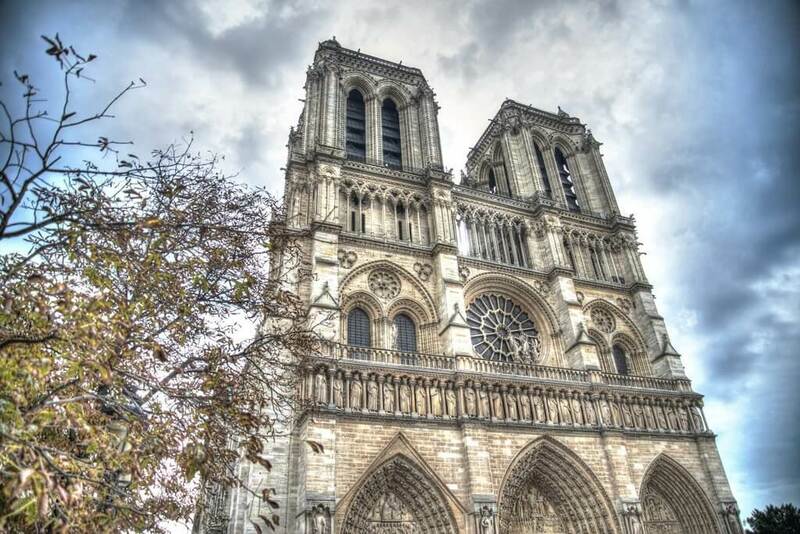 The towers open at 10 am so you have the time to visit Notre Dame Cathedral first. Before leaving Notre Dame, look around at the ground, you should be able to find quickly (there are always some tourists around) a plaque indicating France’s km 0, you are in the center of France! All the French roads are measured from this point. » Notre Dame Towers opening hours: 10 am to 6 pm. Leave the Parvis de Notre Dame, take rue d’Arcole and cross the bridge. You just reached the Seine’s Right Bank. 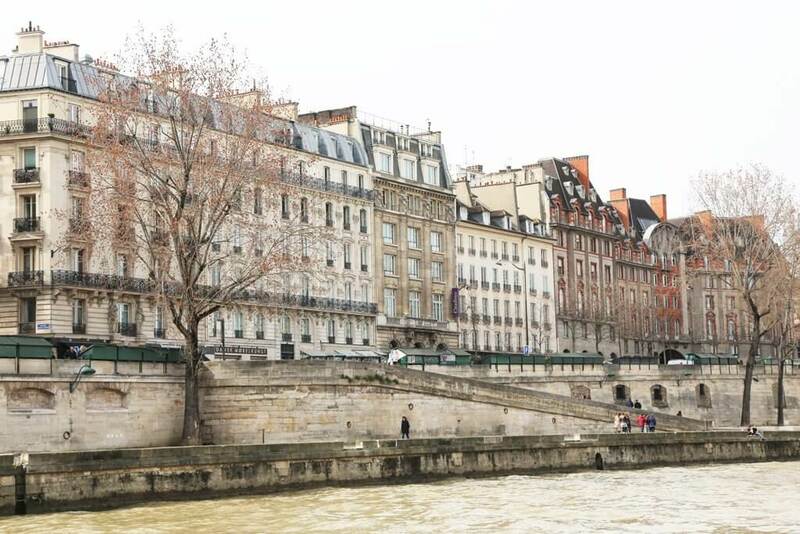 Start walking North-West along Quai François Mitterrand, always having the river on your left side. From here you have a better view of Ile de la Cité and you can admire sights like La Conciergerie (the building with the pointed towers), the iconic rooftops of Paris or the Pont Neuf (New Bridge), which is actually the oldest bridge in Paris! After a pleasant 20 minute walk, you will reach the Louvre Museum. » You can find all the sights mentioned in the description on the Google Map. When spending only 2 days in Paris, you might have time for only one museum. Pick either the Louvre or the Musée d’Orsay. We recommend the Louvre Museum. First timers in Paris find difficult to resist the temptation of visiting the Louvre Museum, even if it is for a short time! Originally built as a royal palace, the Louvre Palace is today one of the best and most visited museums in the world. Admire Pei’s glass pyramid, located in the Louvre’s inner court, and enter the museum for a short visit. TREAT YOURSELF: the famous tea-house Angelina has an establishment inside the Louvre, not far from Napoleon iii apartments. Enjoy their famous hot chocolate or taste the incredible Mont Blanc dessert without the crowds! » The Louvre Museum opens from Wednesday to Monday from 9 am to 6 am. On Wednesdays and Fridays, the Louvre opens until 10 pm. 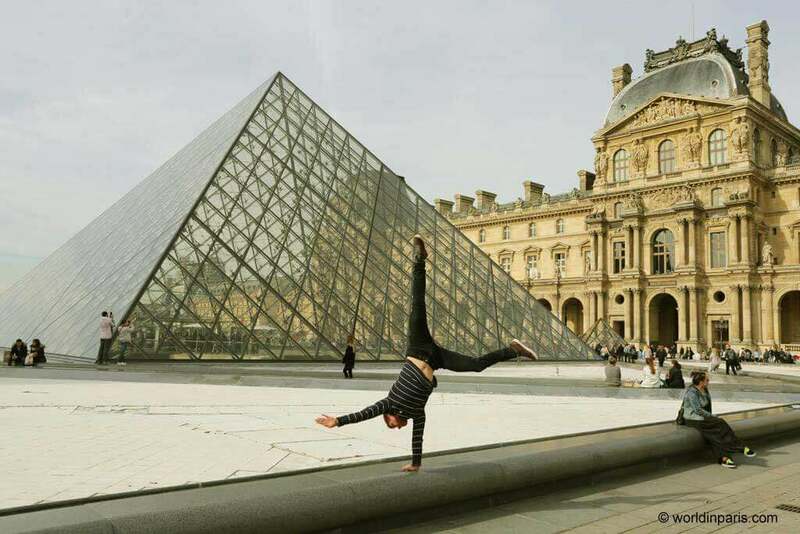 OUR TIP: Check out how to get the most out of the Louvre in 2 hours or less! Depending on the time, explore the Tuileries Gardens before or after the Louvre Museum. Tuileries Gardens are one of the most beautiful parks in Paris and the oldest French garden in the city. It was designed in the XVIth century on the site of ancient tileries that gave it its name. The current layout still keeps the spirit of André Le Notre’s design, the same landscape designer than Versailles Gardens and the gardens of Château de Chantilly. If you have not eaten yet and the weather is good, you can have a picnic (and perhaps a short nap) on the grass. Check the weather and plan this in advance as there are no shops for buying food around. Alternatively, you can sit in one of the guinguettes in the park for a coffee and a quick eat. OUR TIP: do you need to take a rest? Look for the green chairs just in face of Jeu de Paume building, in Tuileries Gardens, for an awesome view over the Eiffel Tower and 0 crowds! From Tuileries, take the metro to the iconic neighborhood of Montmartre. We suggest arriving at Abbesses metro station (line 12) to explore the Wall of Love, Saint Jean de Montmartre church and other iconic places around like rue Lepic or Le Consulat. Montmartre is a hilly neighborhood, with many steps, so you’ll have to do a little bit of cardio here to get to the top. Take your time to reach Sacré Coeur, perhaps with a coffee break, from where there is another beautiful panorama of the city. 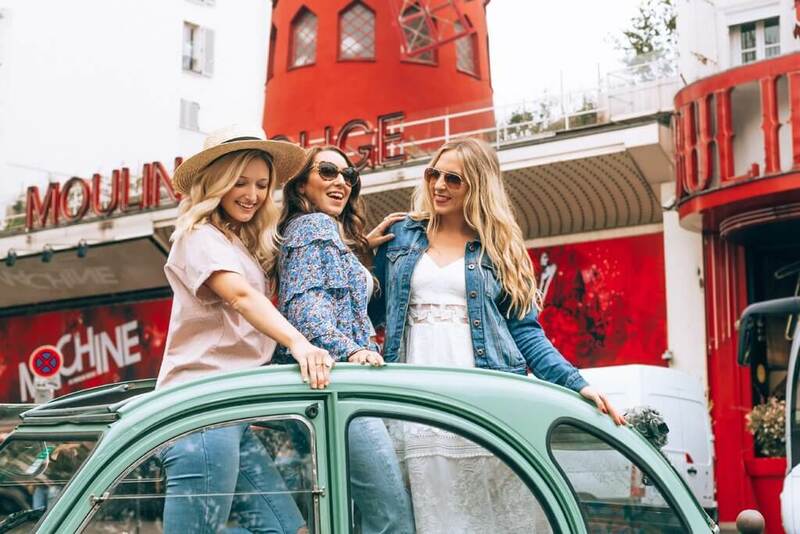 OUT OF THE BOX: take a ride around Montmartre and Pigalle in an adorable Citroën 2CV and stop at Moulin Rouge to take some cool photos! » The Wall of Love is located in a small park, just behind the metro entrance. OUR TIP: beware of pickpockets in Montmartre, especially at the square in front of Sacre Coeur with the great views of Paris. If the weather is good, explore other bits of Montmartre under the moonlight and have dinner around. Finish your day with a cocktail at one of our favorite rooftop bars in Paris, Terrass Rooftop Bar, admiring the Paris skyline and gazing across the lights and landmarks that define the City of Lights. If you are visiting Paris during the winter or it is a rainy day head to Moulin Rouge instead, for a night of music, can-can, and lots of bubbles. The Moulin Rouge is one of the most iconic cabarets in Paris so you may want to buy your tickets one day (or more) in advance! OUR TIP: interested in Paris at night? Check the Paris Night Pass, with interesting discounts on night activities and shows! During the second day of this Paris travel itinerary, we are going to explore the Left Bank of Paris. Historically, the Right Bank was the synonym of elegance and sophistication while the left bank was the Bohemian Paris and the focus of the intellectual and religious life in Paris. Today we are going to explore Paris Rive Gauche! Start with a coffee at Quartier Latin (Paris 5), the heart of the university life in Paris. This is also one of the oldest districts of Paris, where the former Roman city Lutetia (IC AD) developed along its Cardo Maximus, the present Rue Saint Jacques. Like all the Roman cities, Lutetia had a forum (current Rue Soufflot), a couple of Roman baths (Les Thermes de Lutece) and even an amphitheater known today as Arènes de Lutèce. Start with the Panthéon, one of the most famous landmarks in Paris. Originally built as a church, the Panthéon operates as a mausoleum with tombs of illustrious French citizens. The building has an impressive facade surmounted by a large dome. In 1851, physicist Léon Foucault demonstrated the rotation of the Earth by constructing a 67-meter Foucault pendulum beneath the central dome. Today, a copy of this famous pendulum is still displayed at the Panthéon. MAKE IT SPECIAL: don’t miss the awesome views from the Panthéon’s dome! The dome is often referred to as the “Balcony of Paris” because of these amazing 360-degree views of Paris. Wander around the Quartier Latin. In the same area, there are several buildings making up the large complex of La Sorbonne University, which are also impressive and always teeming with students. La Sorbonne was founded in 1253 at King Louis IX’s request as a college for 16 poor students who wanted to study theology. After 1885, it became the most important university in France and it is still one of the most important universities in Paris. La Sorbonne can only be visited with an organized tour with an advance booking but is interesting to see even just from the outside and the student atmosphere of the area is great. Around the Sorbonne, you can find the Collège de France, prestigious schools and the Sainte-Geneviève library, as well as many bookshops, cafes and independent cinemas. » You can reach the Panthéon by metro from Jussieu metro station (lines 7 and 10) if you want to see Les Arènes de Luthèce or from Cardinal Lemoine metro station (line 10) if you want to go straight to the Panthéon. 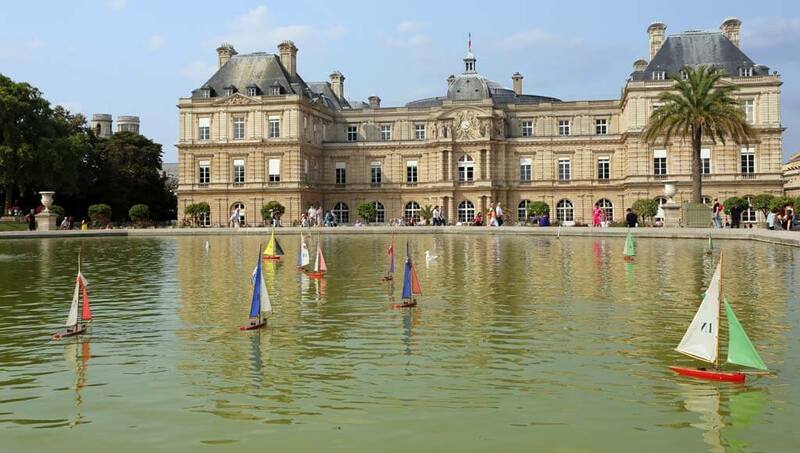 Explore the beautiful Luxembourg Gardens and admire the Sénat Palace, built for Queen Marie de Médicis, and other beautiful sights like the octagonal pond or the romantic Médicis Fountain. If the weather is good, don’t hesitate to blend in with the locals and have a picnic on the grass. OUT OF THE BOX: visit the Luxembourg Gardens through a cool DIY Treasure Hunt! 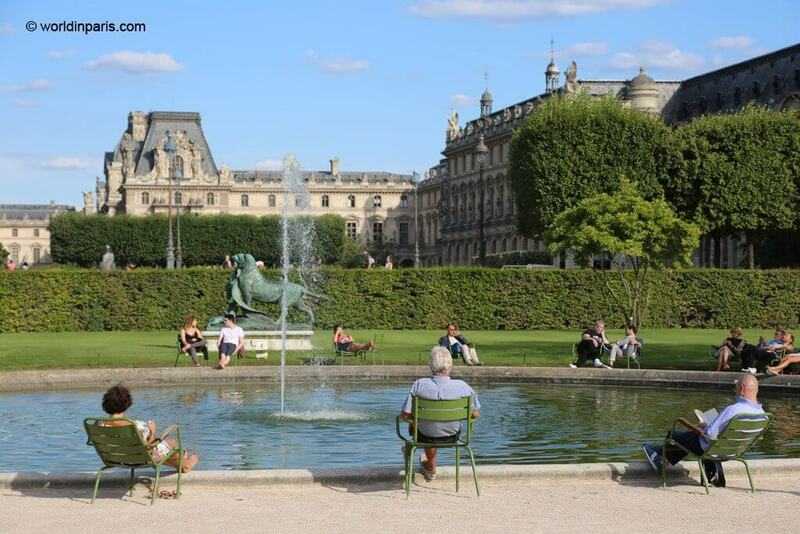 » Jardin du Luxembourg has no entrance fee. The opening hours of the garden are defined according to the duration of the day. » You can go from Luxembourg Gardens to Saint Germain-des-Prés by taking the Avenue Bonaparte, which limits the park on the west. It is a 13 min walk starting from the pond. Developed around the former Saint Germain Abbey, Saint-Germain-des-Prés neighborhood became after the Second World War, a center of intellectual and cultural life in Paris, with the presence of interesting writers and artists like Marguerite Duras, Jean-Paul Sartre and Simone de Beauvoir, François Truffaut, Picasso, Giacometti and many more. 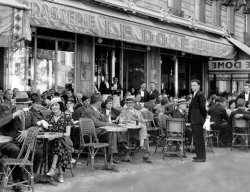 All these cool people liked to wander around Saint-Germain and enjoy its particular atmosphere and a good intellectual discussion at Café Les Deux Magots or Café de Flore. Today, the neighborhood of Saint-Germain is deeply transformed by the tourism industry and big investors, with luxury boutiques and art galleries instead of small bookshops and some universities. However, it is a very nice place to get lost in its winding streets or stop at a nice cafe for people watching. TREAT YOURSELF: Saint-Germain is well known for having some of the best chocolate shops and pâtisseries of Paris. Why not exploring this cool neighborhood through a chocolate and pastries tour? We recommend the Saint-Germain Chocolate Walking Tour but you can find other chocolate and pastries tours here. For your last night in Paris, the Eiffel Tower is the “grande finale”! 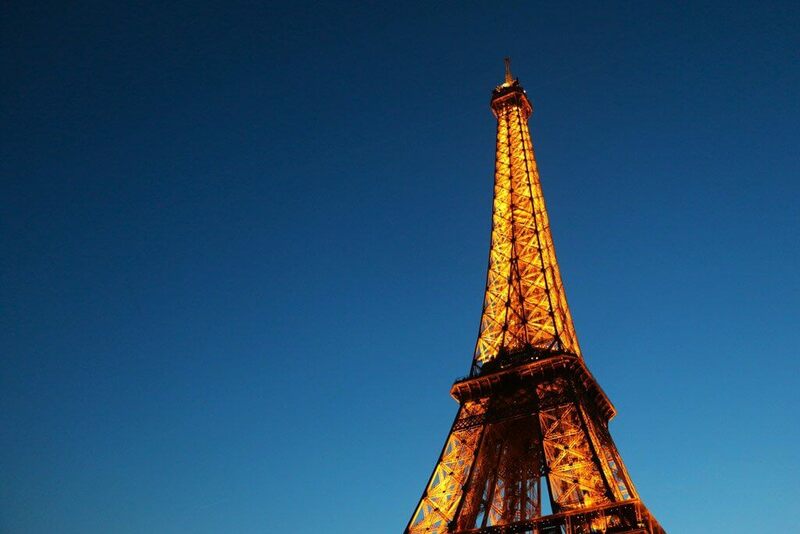 Designed by the engineer Gustave Eiffel, the 300m Eiffel Tower is always impressive but it is even more incredible to see at night when the golden floodlights come on. When the Tour Eiffel is lit up it will sparkle for the first five minutes of every hour so check your watch not to miss the next one! MAKE IT SPECIAL: a gourmet dinner with amazing views of the Eiffel Tower at restaurant Les Ombres can be the perfect start of an unforgettable night! 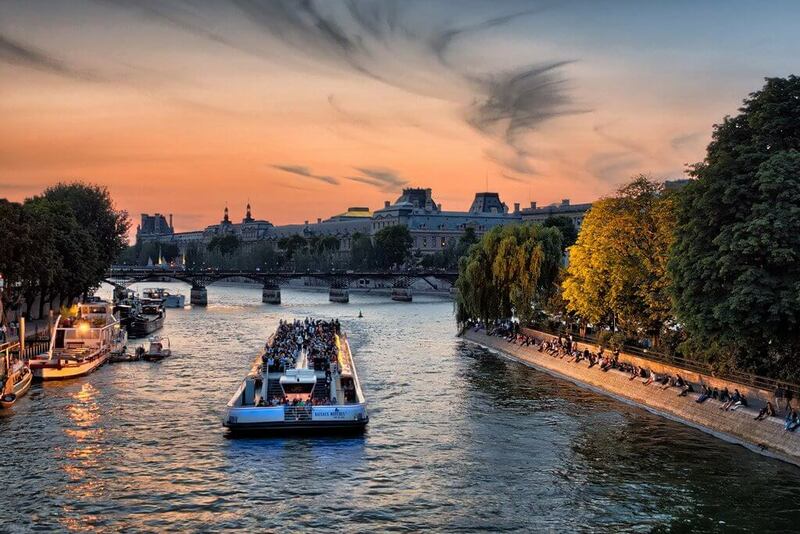 End your day with a Seine night boat tour (and perhaps a glass of wine) and admire the historical monuments dotted along the route: The Eiffel Tower, the Musée d’Orsay, the Conciergerie, …back to Notre Dame, where everything started. OUR TIP: during summertime, sunset can be around 22:00, which means illuminations will come only after this hour. Boat tours usually run until 10.30 pm so to see the monuments illuminated we recommend booking the last or pre-last boat tour. Of course, there are many other interesting things to do in Paris in 2 days, it’s just that we cannot include everything in 2 days in Paris itineraries. » ThisParis in two days itinerary does not include Le Marais. Le Marais is another interesting area to explore and you can find some ideas in our posts on Paris 3 and Paris 4 like a local. » Traveling to Paris during the winter? Check our Winter in Paris Bucket List, with some cool proposals when it’s too cold outside. If the weather forecast shows rain in Paris, check our bucket list of things to do in Paris during rainy days. » If you are interested in a specific subject in Paris, such as the most beautiful covered passages or romantic things to do in Paris, check our Paris Bucket List series, for something for every taste. If you are traveling to Paris for a few days and you can afford it, why not treating yourself with the pleasure of waking up with an amazing Eiffel Tower balcony view? Some of Paris’ top luxury hotels, well known for their great facilities and amazing interiors, come also with the best views of Eiffel Tower, especially beautiful during its night show. 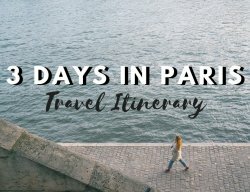 Did you like this Paris in 2 days itinerary? 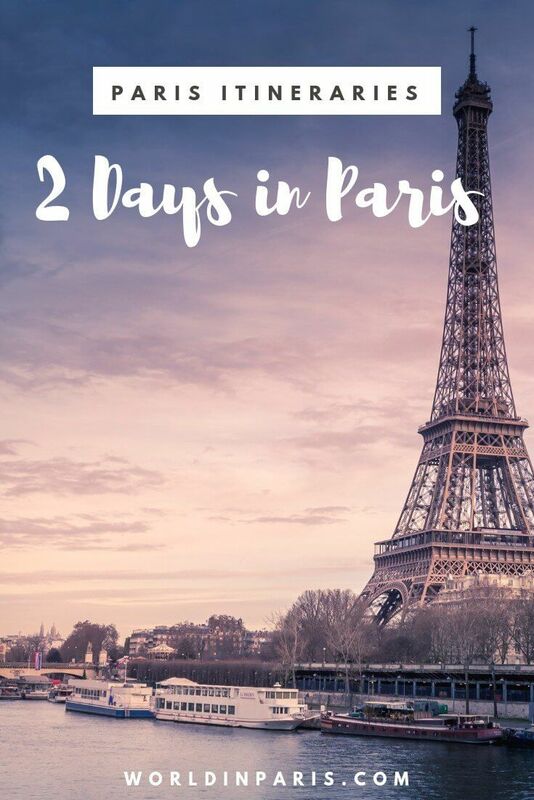 What would you add to your list of what to see in Paris in 2 days?